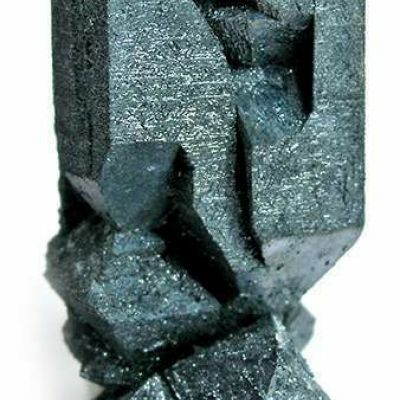 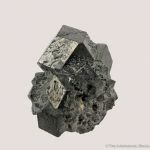 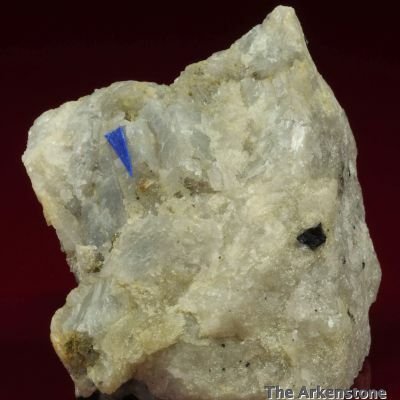 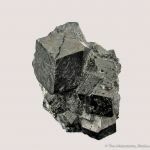 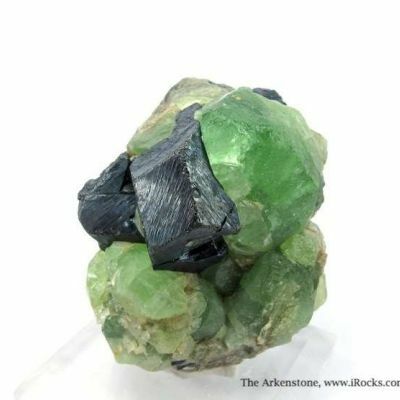 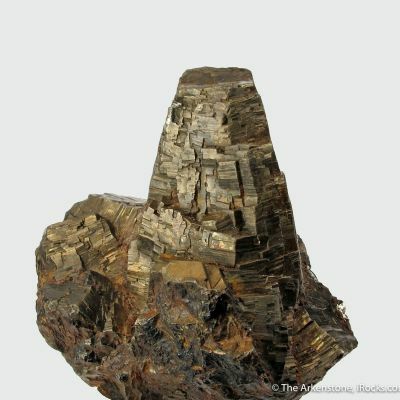 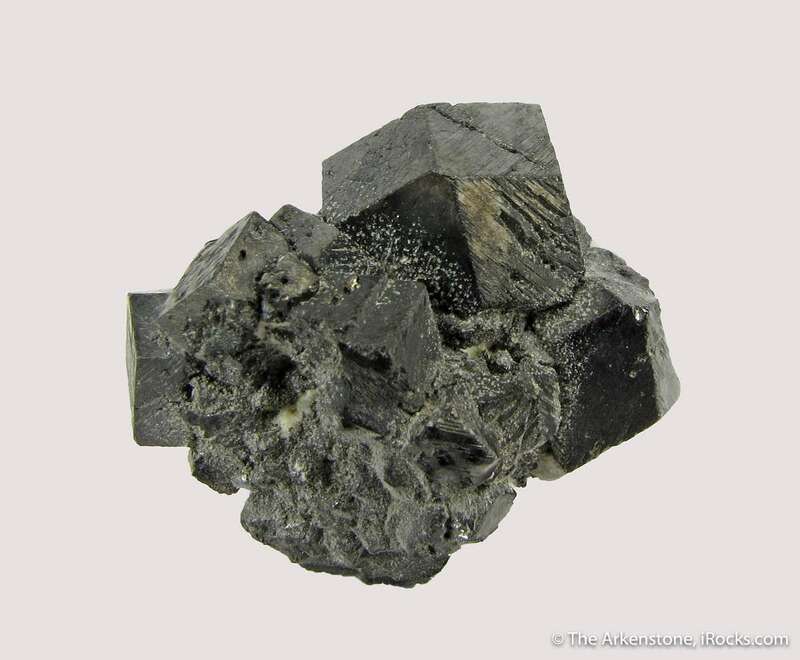 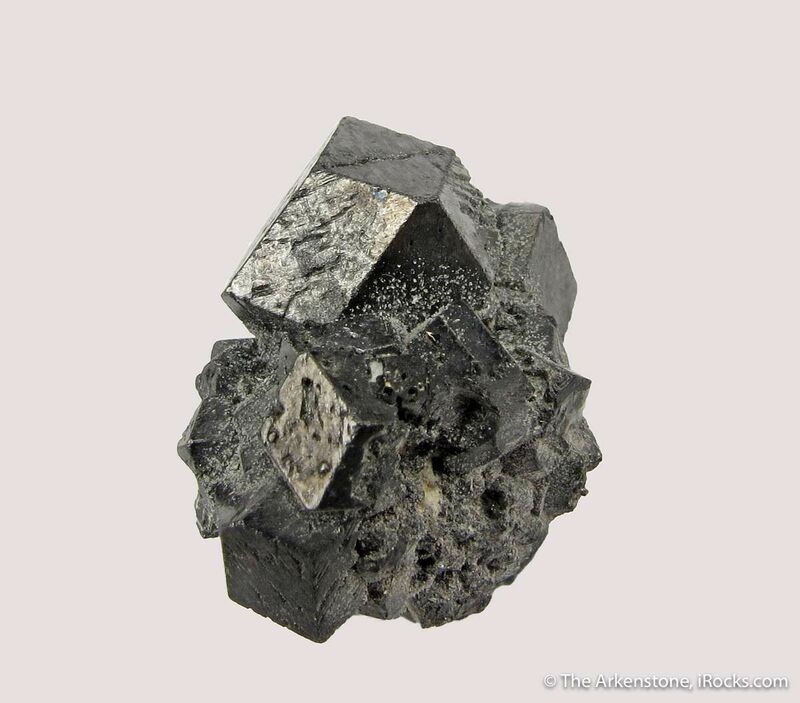 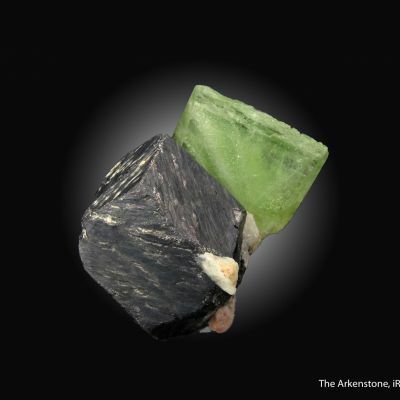 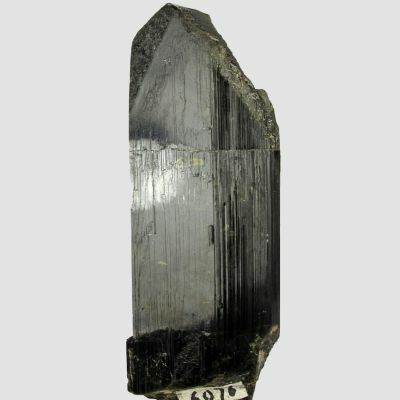 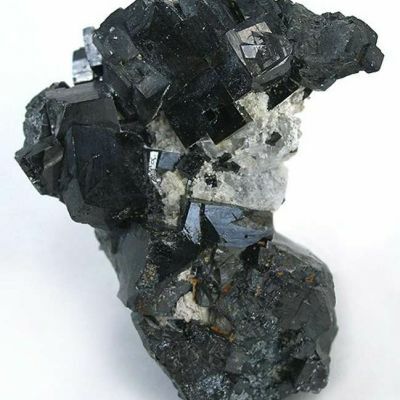 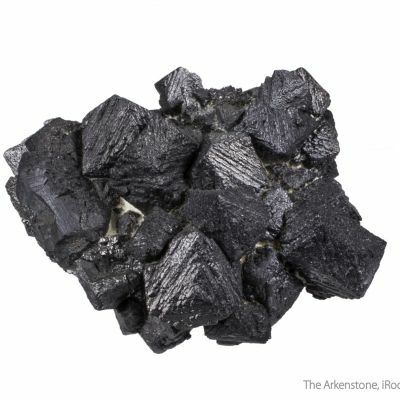 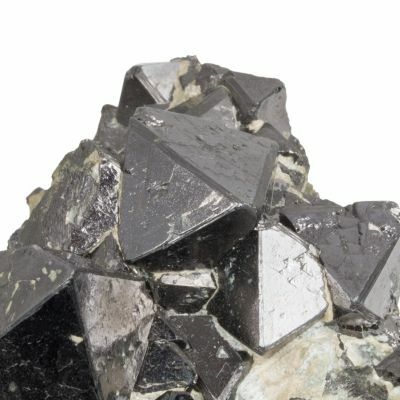 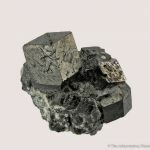 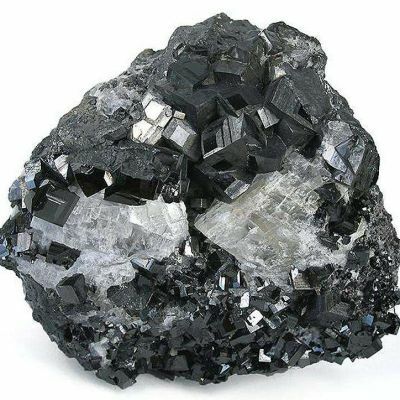 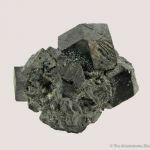 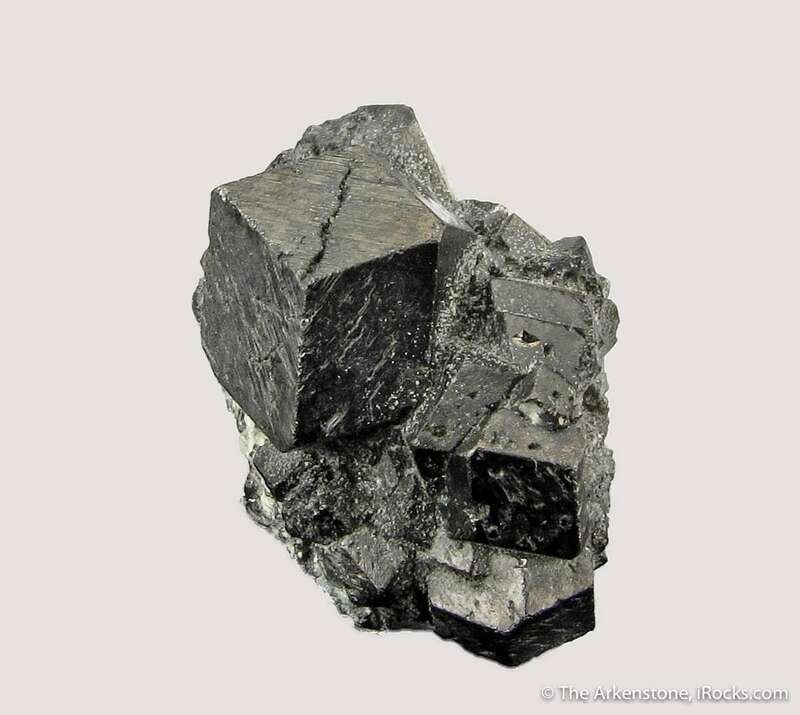 Mined during the mid-1900's, the Grace Mine has produced interesting and attractive Magnetites and was considered the best of species at the time. 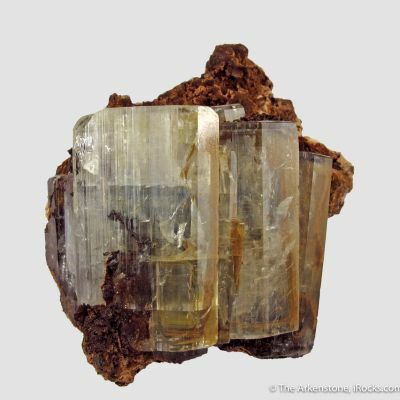 In particular, the crystals are known for their unusual striations, as can be seen on these modified dodecahedra. 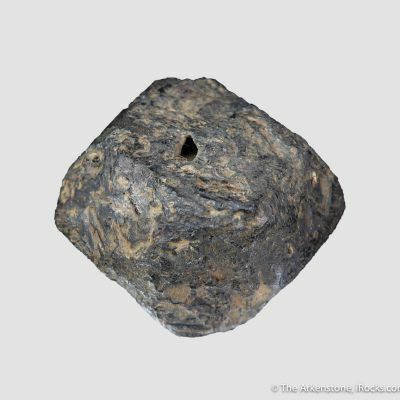 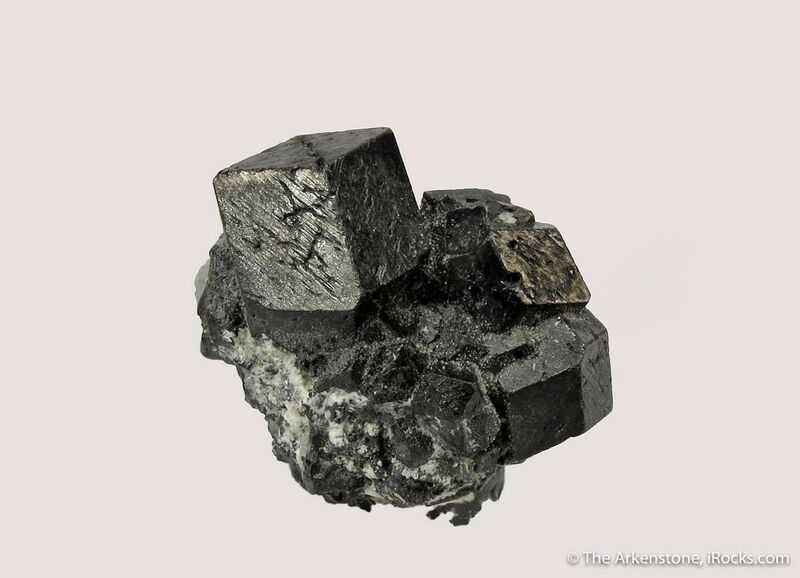 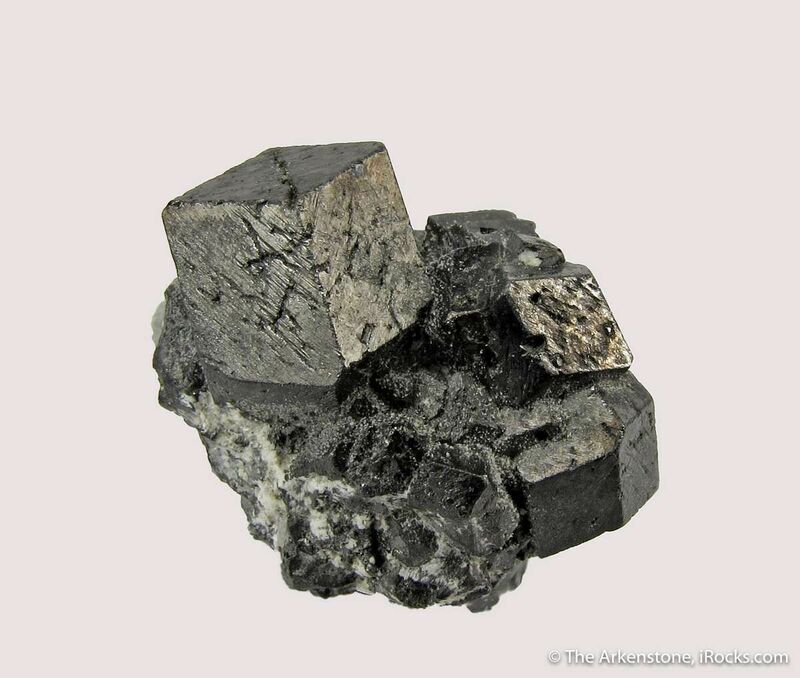 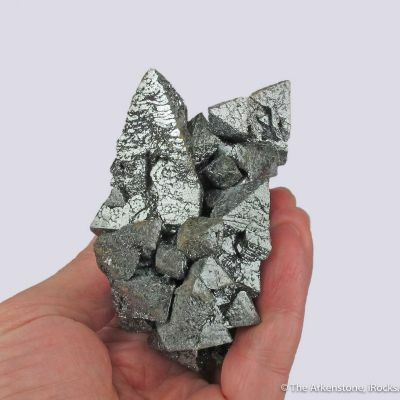 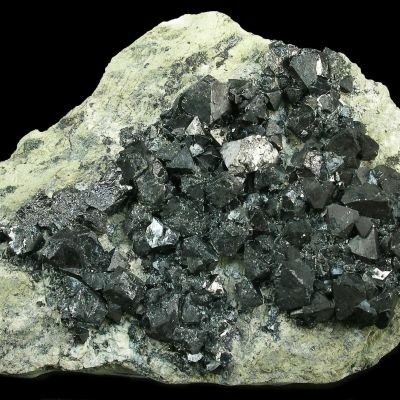 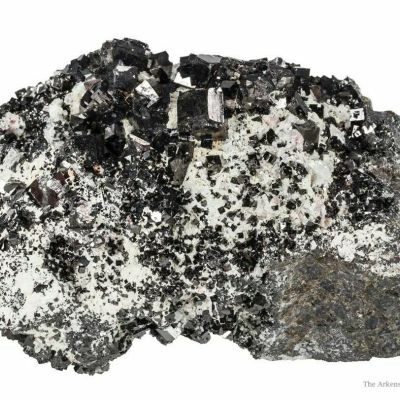 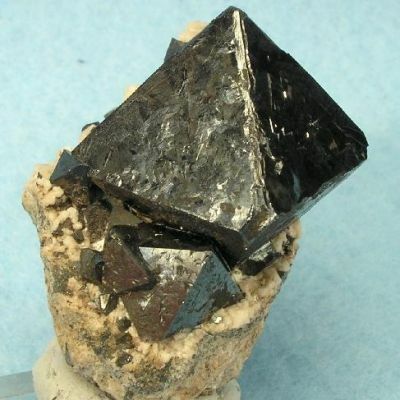 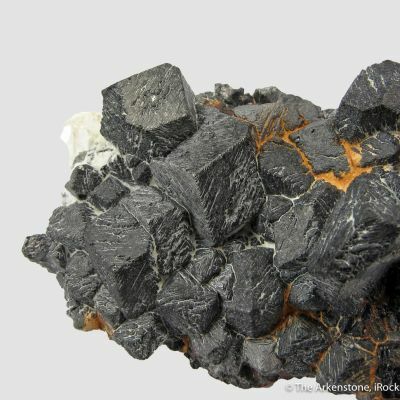 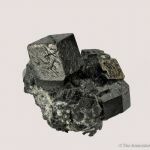 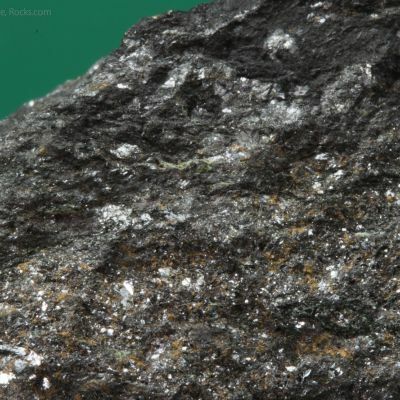 The largest Magnetite is 1.1 cm across, and they all have good, metallic luster as they sit on a small amount of matrix. 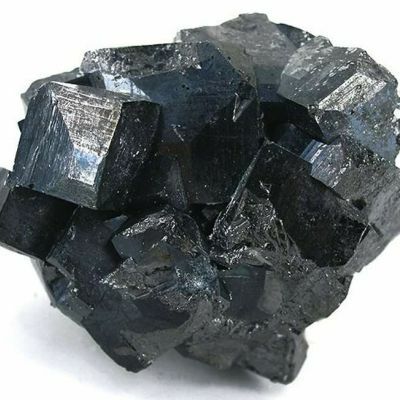 Quality Magnetitites from Grace are rarely available. 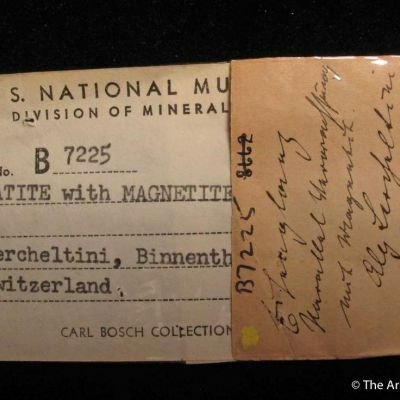 An interesting historical side note is that this deposit was the first ever found using an airborne magnetometer, which makes perfect sense.